. Yet when Google’s News Lab looked at city-level search trends related to climate change over the past decade, we found that interest around "global warming" was actually higher in 2007 than it is today in many major cities. Google is deeply committed to environmental sustainability and renewable energy, and raising awareness about these issues is part of the solution. That's why, in 2013, we became the internet and technology partner of Solar Impulse, a project aiming at flying around the world on a plane using only solar power, in order to raise awareness for what's possible with clean technology and renewable energy. On the first day of their round-the-world journey, we jointly launched the #FutureIsClean initiative: a platform to encourage the world to support the adoption of necessary clean technological solutions ahead of the upcoming United Nations Climate Change Conference (COP21). Since Solar Impulse took off from Abu Dhabi in March 2015, it has completed 8 out of 12 legs, completing nearly half of the journey. The most recent leg took 117 hours and 52 minutes, breaking the world record for the longest solo flight. 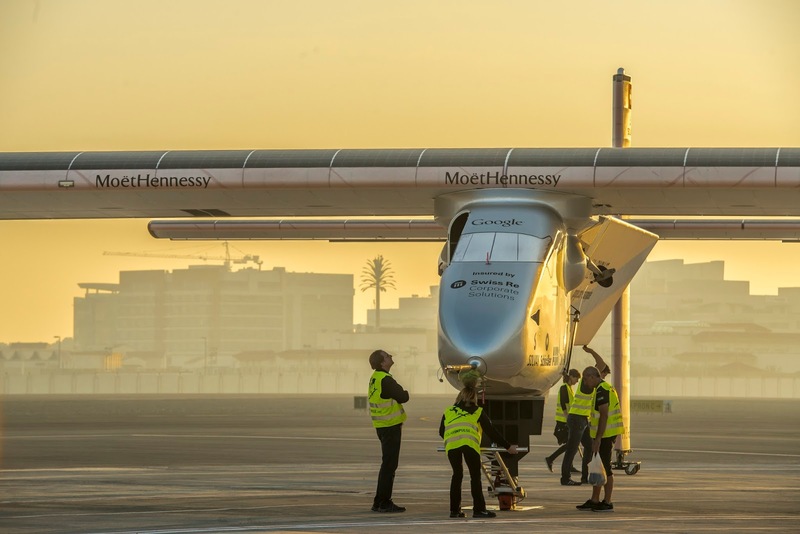 Despite the achievement, the plane's batteries sustained some damage, postponing the second half of their round-the-world solar flight until April 2016. The plane will remain in Hawaii where it landed last. We're inspired by Solar Impulse's pioneering spirit that has allowed them to push the boundaries of clean and renewable technology, and we look forward to cheering them on next year as they complete their round-the-world trip. According to NASA, 2014 was the warmest year ever. Yet when Google’s News Lab looked at city-level search trends related to climate change over the past decade, we found that interest around "global warming" was actually higher in 2007 than it is today in many major cities. Google is deeply committed to environmental sustainability and renewable energy, and raising awareness about these issues is part of the solution. That's why, in 2013, we became the internet and technology partner of Solar Impulse, a project aiming at flying around the world on a plane using only solar power, in order to raise awareness for what's possible with clean technology and renewable energy.